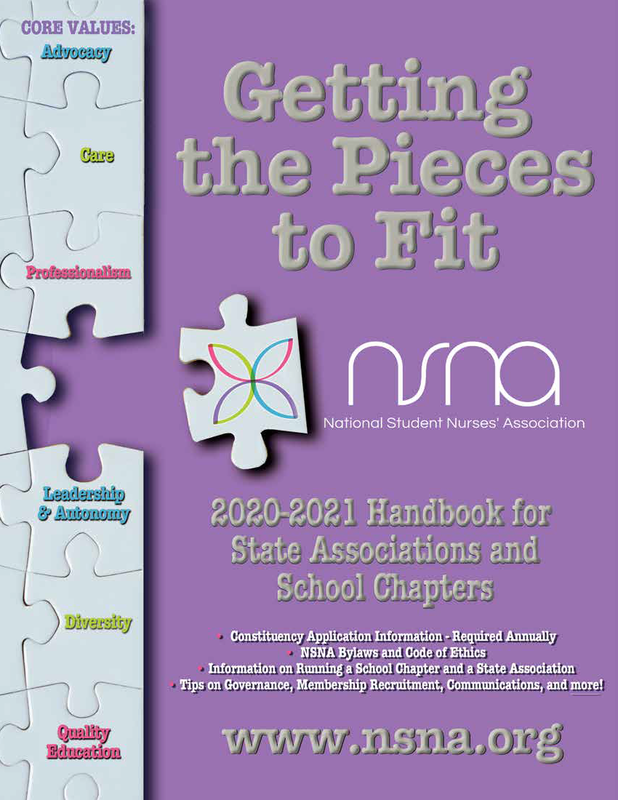 As a guideline for starting an NSNA chapter. To assist with management of school and state chapters. As a reference for NSNA Bylaws. To apply for NSNA constituency status. To properly read Pieces in its online format, Adobe Flash Player is needed. Download at http://get.adobe.com/flashplayer. ​If you do not have the Flash Player (or choose not to download it), you should be given an option to view a basic HTML version with limited functionality. "Pieces" is available for view above. You can also download the full handbook or individual sections in its PDF format by clicking on the section titles.